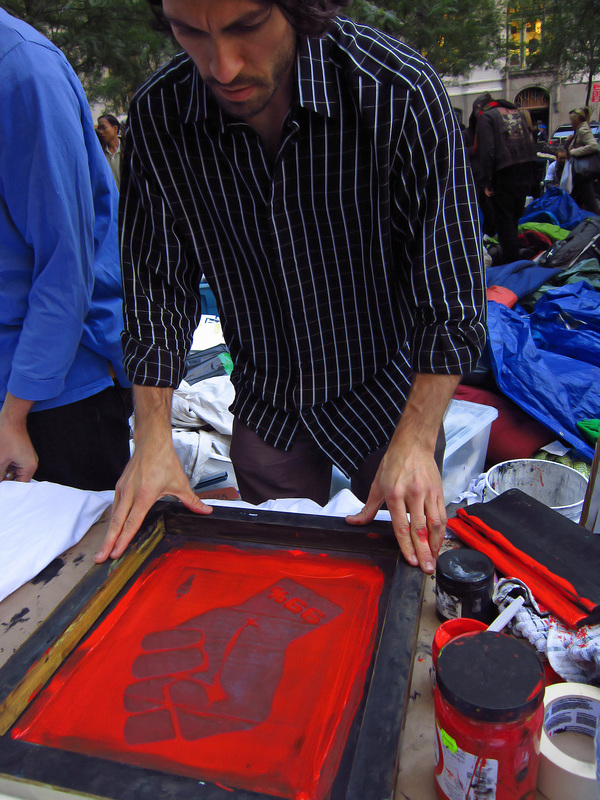 Today was shirt-making day down at Zuccotti Park, so I chose to get one with a red 99% design on it. This guy worked like a pro. 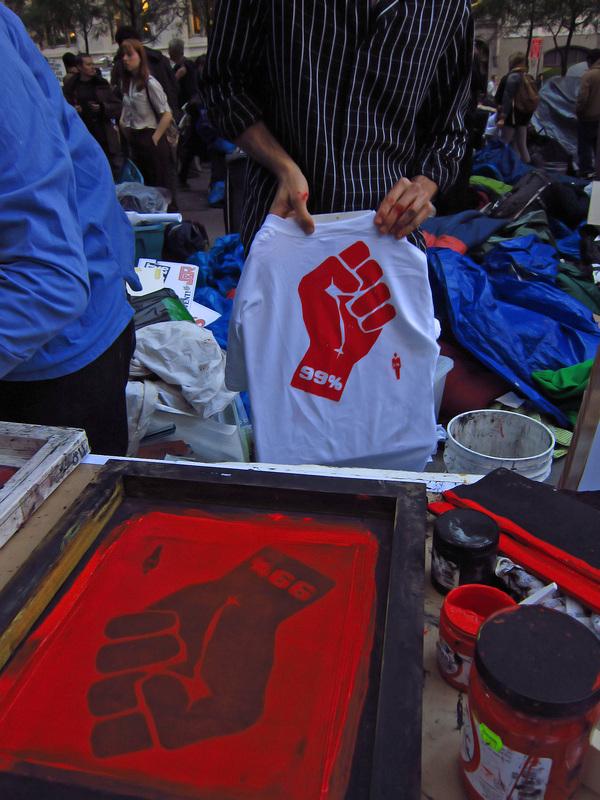 The printing is free, so just bring your own shirt. 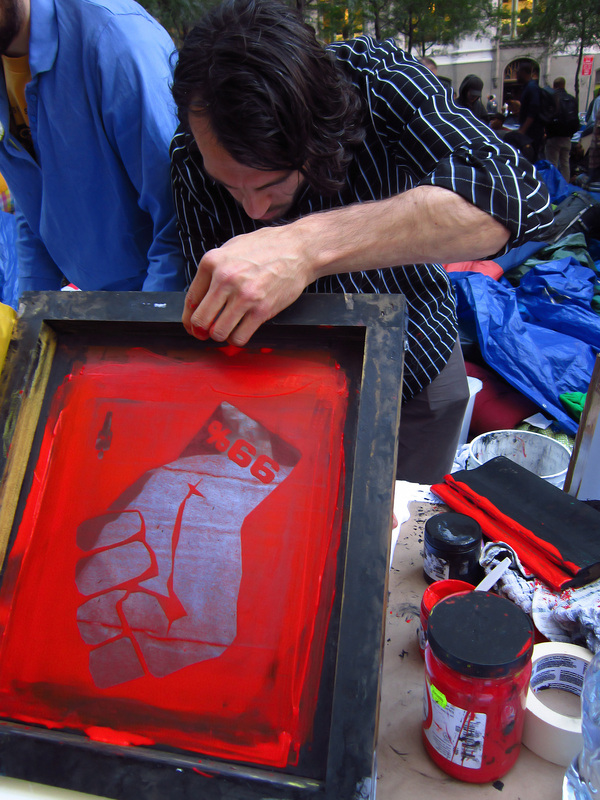 Bonus: here's a video of the crowd at Occupy Times Square this past weekend. This was taken from Broadway and 44th Street. Great job, & nice to see a different view (I got shut out by the police on 46th St.). I'm really impressed by your extensive coverage of the movement. Thanks.